“Alexa, play my Spotify playlist — I can’t take my hands off the wheel.” Toyota is teaming up with Amazon to put the latter’s voice assistant into certain Toyota and Lexus vehicles starting this year. The voice assistant will be available in the Toyota Entune 3.0 App Suite and Lexus Enform App Suite 2.0. The company didn’t say into which of its models the suites would be installed, but it Alexa will be available in further models next year. Our vision for Alexa is that she should be everywhere a customer might need her – at home, in the office, on phones – and in cars. 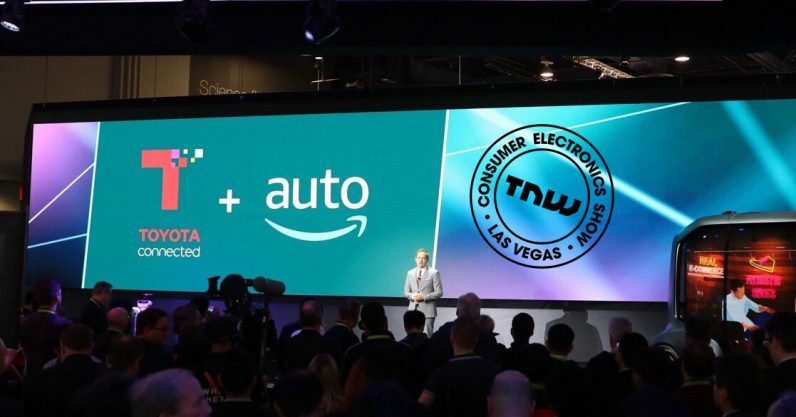 This integration means that customers can interact with Alexa, virtually anywhere they drive. While it might seem like another voice integration for the sake of it, this one might do some good. It’s never a good idea to take your hand off the wheel while driving, even if it’s just to select a radio station, and Alexa integration means you might not have to. In addition to the Alexa integration, Toyota announced several of its latest concept cars, which put a great emphasis on AI technology. We’ve already seen Toyota’s sumptuous e-Palette reach its full potential as a self-driving Pizza Hut car. For more CES 2018 news, check out our page here, and follow us on Facebook, Twitter,Instagram.